This game is basically my attempt at implementing one of my personal dream games - a very basic metroidvania with all those cliché map systems and powerups. 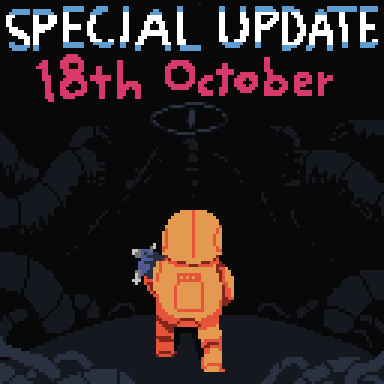 I started planning the game about a year ago, but didn't start working on it partially due to being lazy and busy, but also because I wanted to make the game really special in some way and thus avoid the usual metroidvania clichés. Some time after christmas I decided to throw originality out of the window and just make the game; it's been a lot of fun and designing stuff like bosses and new, interesting enemies is a blast! The limited colour palette and 160x120 resolution are further attempts at reducing the amount of boring work. Hopefully the end product will be as enjoyable to play as it has been to create. This looks awesome! I almost didn't click on it because of the thread name, though. I saw a thread by you and instaclicked. I'm quite sure I'll just be posting teaser picks and not much else. The pic of the game world gives me some inspriration for a simulation or strategy game with a look like that. Looks really good. One of the best looking games I've seen at such a scale, everything is easily readable and bright. Enemies look fun to fight, and those GIF teasers are making me cream. Keep it up! Oh man I LOVE this guy. Holy balls this is excellent. I saw that dome art before and thought that it HAD to become a game. So glad it's actually happening. Please make a snow level, a forest level, and a ruined city level. Oh and a water level. 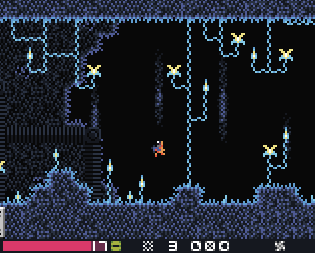 And a swamp level. With weather effects. And water effects. If I had my midi controller/synth with me I'd ask if you needed music or sound fx or somethin. 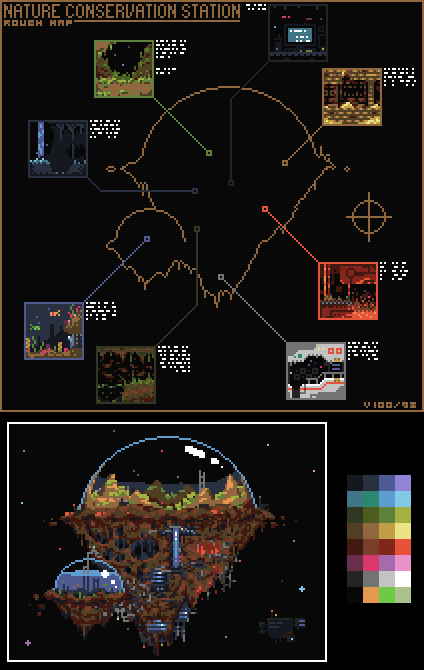 I remember my jealousy nodule tingling when you first posted that schematic pixel art. Now those gifs of the game in action have induced a further swelling. This is probably the most compelling devlog I've seen in a while. Can't wait. What software do you use for designing the graphics? Thanks for the overwhelmingly positive response! Painting: I use the pixel editor of Multimedia Fusion 2. It's suprisingly handy. Also sometimes D-Pixel. Superb Joe: Thanks, I'm fine. You?